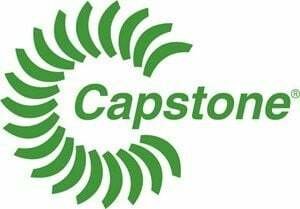 Capstone Turbine Corporation has received follow-on orders totaling approximately seven megawatts from a major oil and gas customer operating on shale gas. Capstone continues its remarkable penetration of the North American shale gas market with another approximately seven megawatt order from an existing customer. The latest order is for eight C600, one C800 and 17 C65 units for installation at several remote central gathering sites in the Mid-West. This follow-on order was from the same super-major oil and gas producer that purchased two C600 and ten C65 Power Packages in June 2012. This latest order increases the producer's fleet of Capstone microturbines to 38 systems of various sizes totaling 8.5 megawatts of reliable and low emission power generation. "North American shale gas producers are continuing to adopt Capstone microturbines because they want the high reliability and low emission benefits of our products," said Sam Henry, Horizon Power Systems President. "They need the assurance of round-the-clock power at their sites and know that's precisely what Capstone microturbines deliver." "The oil and gas market continues to be our fastest growing market worldwide," said Jim Crouse, Capstone's Executive Vice President of Sales and Marketing. "From the Eagle Ford and Marcellus shale plays in the United States to the oil fields of Russia and Africa, Capstone microturbines are becoming the go-to power source for producers that want extremely reliable and low emission onsite power solutions."